Schools see value in sustainability. The benefits are economic, social, environmental and pedagogical. The Philadelphia School District is a case in point. Their five year sustainability plan will decrease energy usage and create cleaner environments in which children can thrive. They are also teaching students how to be more conscious and responsible people. 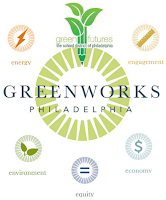 Philadelphia School District Superintendent William R. Hite Jr. called the initiative, Green Futures and he described it as, "more than a strategic plan. It is an opportunity for all of us in our own way to contribute to every child's health and well-being, both at school and in our communities, and to preserve our environment for the future." Increasing the district's waste diversion rate by 10 percent. Decreasing energy consumption by 20 percent. Increasing green schoolyards by five schools per year, to ensure that every school has green space. 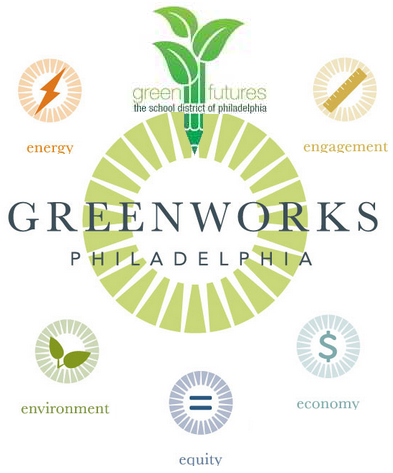 The Green Futures plan was inspired Philadelphia's Office of Sustainability's Greenworks plan. Launched in 2009, this is the city’s comprehensive sustainability plan.